Mr. Bryan Mahoney, loving husband of Nora and son of Mina Mahoney, passed away peacefully in Thunder Bay Regional Health Sciences Centre on Thursday, October 25, 2018 with Nora, her sisters and lifelong friend by his side. Bryan was born May 13, 1952 in Thunder Bay. He was educated both locally and in Terrace Bay. He went on to attend the Police Academy and then proudly served with the Police Forces in Toronto and Marathon for 20 years. Bryan then made several career changes before suffering a workplace accident. As a result, he fought many long and hard medical battles over the next 20 years, but always kept a positive attitude and a smile on his face. Bryan enjoyed the outdoors. 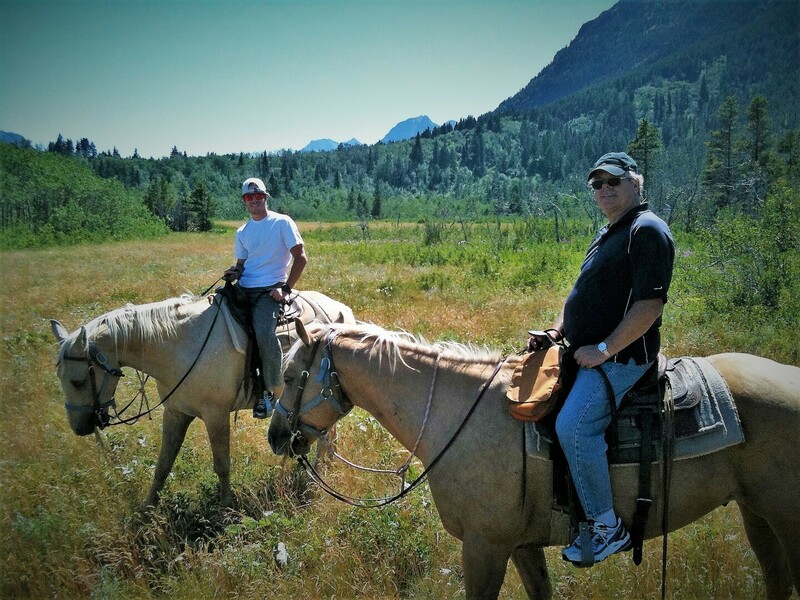 He loved camping, fishing, snow machining and quadding. Bryan loved a good bonfire with friends, strumming on his guitar, where he built strong relationships with all he met. Bryan was proud of his heritage and was always telling a good Irish joke. 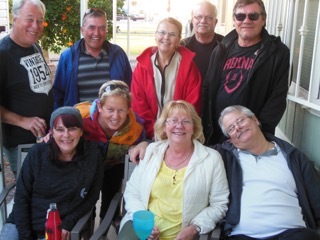 Bryan and Nora, in their retirement, loved to travel and eventually found their home away from home in Arizona, where they made many new friends. Bryan is survived by his loving wife, Nora (nee Bodnieks), his children and grandchildren as well as Nora's loving and caring family. We will miss you “Uncle B.” He was predeceased by his parents, grandparents and numerous relatives. Funeral Services for the late Mr. Bryan Mahoney will be held on Thursday, November 1, 2018 at 11:00am in the WESTFORT CHAPEL, 420 West Gore Street at James. Private interment will follow in Riverside Cemetery. Should friends so desire, in lieu of flowers, donations made in memory of Bryan to the Northern Cancer Fund would be greatly appreciated. Bryan will be forever loved and forever missed. To plant a tree in memory of Mr. Bryan C. Mahoney, please visit our Heartfelt Sympathies Store. We encourage you to share any memorable photos or stories about Mr. Bryan. All tributes placed on and purchased through this memorial website will remain on in perpetuity for future generations. My dear friend: I can't tell you how sorry I am for the loss of your husband. You gave it your all for all those years and so did Bryan. The two of you were meant to be so many years ago and you were both very lucky to have each other. Bryan loved you with all his heart and although your heart is breaking, know that what you did for Bryan all those years as his wife and partner, meant so much to him. You never gave up and always took care of things, your beautiful and strong nature helped Bryan have a good life with you. Be strong my friend and know that the memories and the life you had with Bryan will help you through this. Love you my friend. To Nora & family, Bryan will be missed by all his Arizona friends. His Irish smile that spread to his eyes, his laughter and his voice. We have many memories of lively happy hours, dances, and domino games. He will be missed by all who knew him. Love and Condolences to you Nora. May you know he is always with you. Nora, Our hearts and prayers are with you as you lay Bryan to rest. Please know that even though we are not their in body we are with you in spirit. Hug's my friend..
Our thoughts are with you Nora. Bryan will be missed. It was a hard fought battle. RIP my friend. Dear Nora Glen and I were saddened to hear of Bryan's passing. We have spoken about Bryan and yourself over the past few days. Over the years we have admired Bryan's strength and tenacity as he dealt with health challenges. He maintained a very positive and optomistic outlook supported by you. His love and caring for you was evident. Your love, support and caring for him was consistent. You were his "rock". Together you weathered many life storms. We are sorry we are away and are not able to attend the service for Bryan. Please know we are with you, your family, your sisters and their families in thought and prayers. With sympathy and loving thoughts. Glen and Jill.